Abbot Jeremy Driscoll, O.S.B., is the 12th abbot of Mount Angel Abbey, elected by the community in March of 2016. Abbot Jeremy made his first profession in the community on September 8, 1974, and was ordained a priest in 1981. During his years in the community, Fr. Jeremy taught theology at Mount Angel Seminary and at Sant’ Anselmo in Rome. As Abbot, he continues to teach a class each semester at Mount Angel. 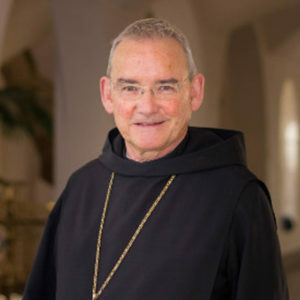 He also continues to serve on various Vatican commissions, conducts conferences and retreats throughout the United States (and beyond), and continues to write and publish. Abbot Jeremy’s newest book, recently released by Liturgical Press, is Awesome Glory: Resurrection in Scripture, Liturgy, and Theology. Drawing from his many years meditating on Scripture and the liturgy, and the deep conviction that the liturgy is meant to be an immediate and effective experience of the resurrection, Abbot Jeremy’s new book, Awesome Glory, focuses on the rich celebration of the liturgy from the Paschal Triduum through Pentecost. Drawing deeply from the Scripture texts of Mass, as well as rituals like the washing of the feet, the Lucernarium, and the baptism of catechumens, this is a perfect read for Lent in preparation for the celebration of Christ’s Resurrection. 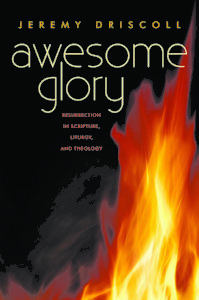 To order Awesome Glory now from the Abbey bookstore, call 503-845-3345 or email for information. Translation and Commentary by Jeremy Driscoll, O.S.B.